While the federal government's new Tobacco and Vaping Products Act forces tobacco companies to use plain packaging, it also opens up a world of advertising possibilities for vaping liquids and e-cigarettes. The federal government's new Tobacco and Vaping Products Act will force tobacco companies to use plain packaging, but it also opens up a world of advertising possibilities for vaping liquids and e-cigarettes. The new law, which received royal assent last week, legalizes and regulates what had been a "bold, black market," said David Hammond, the Canadian Institutes of Health Research's chair in applied health and professor at the University of Waterloo. 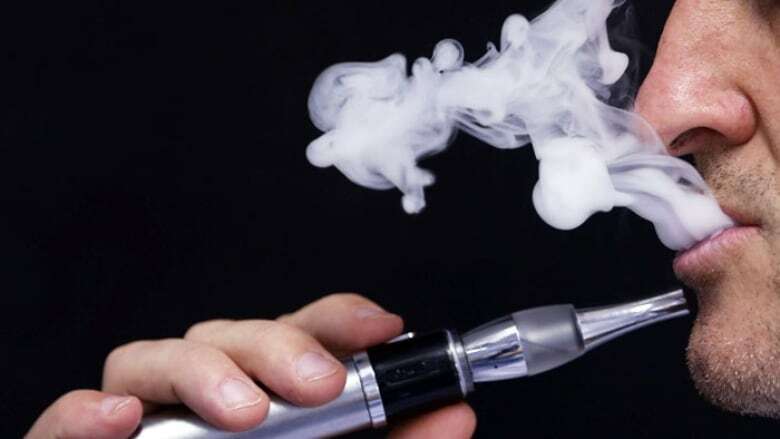 Though technically illegal, nicotine vaporizing liquid was available at vape shops and other stores in most cities across the country, but most big international companies stayed out of the market. "E-cigarettes are less harmful than smoking. They're not harmless, but they're less harmful than smoking," Hammond said. "It made no sense to ban the product that's less harmful when you can still buy cigarettes in every store." With legalization, Hammond predicts Canadians will see big multi-national companies move into the marketplace and so will their ads. "For the first time in decades, you could see TV or front page newspaper ads for recreational nicotine products," he said. Hammond, who testified before Parliament while the law was being drafted, said advertising is the most contentious part of the new Tobacco and Vaping Products Act. "There were a lot of folks, like me, that were quite concerned about the amount of advertising that's allowed," in particular when it comes to children, Hammond said. It's a concern shared by Rob Cunningham, senior policy advisor for the Canadian Cancer Society. "The restrictions for e-cigarette advertising will be far weaker than for tobacco or cannabis and youth will be exposed to this advertising," Cunningham warned. "Depending how advertising and promotion evolves in the marketplace, there is the potential for youth to be exposed to substantial ads." That's why the Canadian Cancer Society is recommending stronger regulations for the advertising components of the act, something Health Canada is considering through consultations. Advertising that is lifestyle in nature, that's appealing to youth, that depicts a person or an animal will be prohibited, Cunningham said, "but there's going to be no restriction on where those ads can appear. So potentially, ads could appear on TV, radio, billboards [and] bus shelters." No flavours are banned in the federal legislation, "but it will ban promotion and labelling of flavours appealing to youth – such as unicorn puke," Cunningham said. The ads also cannot contain any health claims, even if the point of legalizing e-cigarettes was to get people to switch from smoking tobacco to a less-harmful alternative – but that may change. Both Hammond and Cunningham agree e-cigarettes are not as bad as cigarettes. "[Companies] will not be able to make a health claim immediately, but Health Canada is working on regulations to that effect," Cunningham said.